Slated for shipment in March 2011, GameStop has started taking pre-orders for the Nintendo 3DS with a minimum $25 deposit, that according to Electronista. The portable game device which produces “3D effects without the need for any special glasses”* will first be released in Japan on Feb. 26 and retail for approximately $299 (US), although predicted to sell for $249(US) in North America. 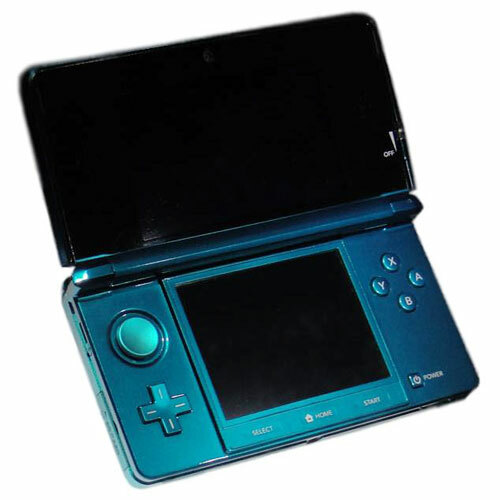 The Nintendo 3DS supports backward compatibility with Nintendo DS series and DSi software, as well as 3D movie playback capability. Although 3D movie titles for the 3DS have not been announced, the device was shown at the E3 Expo playing trailers for “How to Train Your Dragon,” “Legend of the Guardians: The Owls of Ga’Hoole,” and “Tangled.” And according to reports, Nintendo has already made deals with Warner Bros, Disney, and DreamWorks to license titles for the 3DS. The 3D process, known as autostereoscopy, produces a 3D image on the Nintendo portable without the need for 3D eyewear. The display resolution on the 3DS is 800×240 (or 400×240 per eye) with the top screen having 238ppi (pixels-per-inch) and the bottom screen having 133ppi. In addition to 3D capability, the 3DS features multiplayer gameplay over local wireless connections such as WiFi hotspots and over the Internet, and has two cameras on the outside of the device which can take 3D photos and 3D video at 640×480 pixels. According to a post on NeoGAF.com the SKU number for the Nintendo 3DS is 020132. You might need this number to request a pre-order.